and biking around campus, running errands for work. and i hope the weather will be just as lovely. aww how sweet of your hubby to make you breakfast!! hope his interview went well! Awww thanks for that burst of positivity. I hope you have a lovely weekend. Sounds like a fun day. I hope your husband's interview went well- good luck! sounds like an absolutely lovely day! that scramble is making me hungry-- I haven't eaten yet. I hope your man's interview went well! and I hope you have a good weekend! just blog browsing...and saying hi! Nice blog! 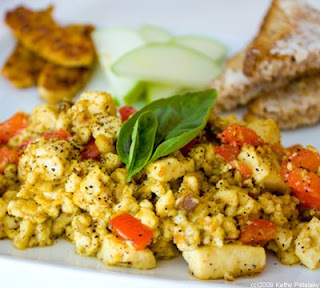 I love breakfast scrambles...how lovely!